Babette has illustrated over 70 books! Why not browse Babette's Shop and buy a piece of her work! 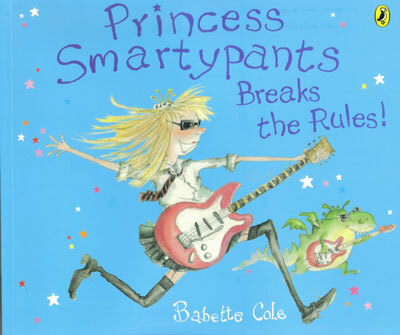 When the Queen packs off Princess Smartypants to finishing school, it seems that our favourite royal might become a perfect princess after all . . .
Demetrius and Paula Ogglebutt are two perfectly beautiful children, but they have a pair of parents who do nothing but argue, bicker and clash. Spelling, sums and even art are beyond Errol the Rat, but he intends to prove to the other rats that his prowess in sports excells them all. Count Alucard decides to visit a seaside resort. 'Warning Note: Before acquiring a sprog, please read the following instructions VERY CAREFULLY. Sticky, sludgy, slippy slime, The sloppy, ploppy, creepy kind. Hairy hats and hairy feet . . . Hair that doesn't smell too sweet!